Africa Day and African Liberation Day are celebrated on May 25. 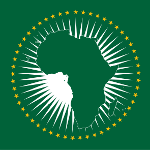 These two holidays currently commemorate the same event, the establishment of the Organization of African Unity. May 25 it celebrated as a public holiday in some African countries. African Liberation Day was originally named Africa Freedom Day. It commemorated the first Conference of Independent African States that was held in Ghana on April 15, 1958. This conference was the first Pan-African conference to take place on African soil. The anniversary of the conference was declared Africa Freedom Day. Five years later, on May 25, 1963, representatives of 32 African governments met in Ethiopia and founded the Organization of African Unity (OAU). At this meeting, it was decided to change the date of Africa Freedom Day to May 25 and rename it African Liberation Day. Africa Day was established specifically to commemorate the creation of the OAU, but the two holidays have virtually merged by now. In 2002, the OAU was disbanded and replaced by the African Union. However, Africa Day/African Liberation Day is still observed as a celebration of African unity. In some African states (the Gambia, Ghana, Guinea, Lesotho, Mali, Mauritania, Namibia, Zambia, Zimbabwe) it is a public holiday. In Lesotho it is also known as Heroes' Day, and in the Gambia it coincides with the birthday of President Yahya Jammeh.